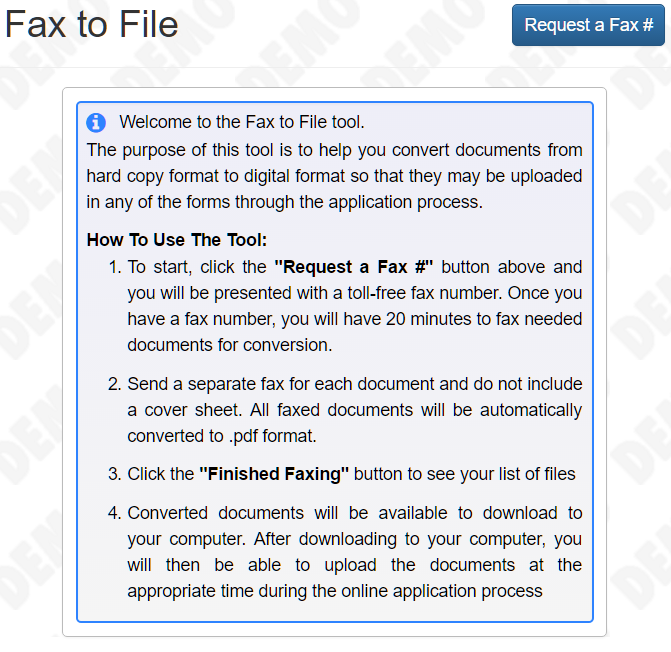 This tool allows users who do no have access to a scanner to use a fax machine in order to get physical documents into a digital format. To start, click the Fax to File link on the top menu of the screen. Send a separate fax for each document and do not include a cover sheet.